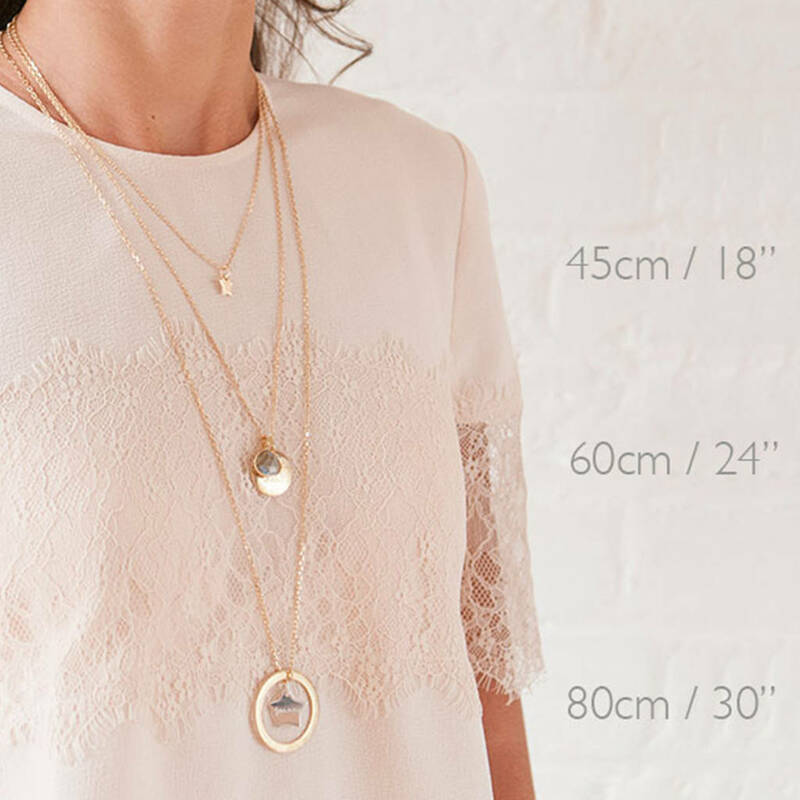 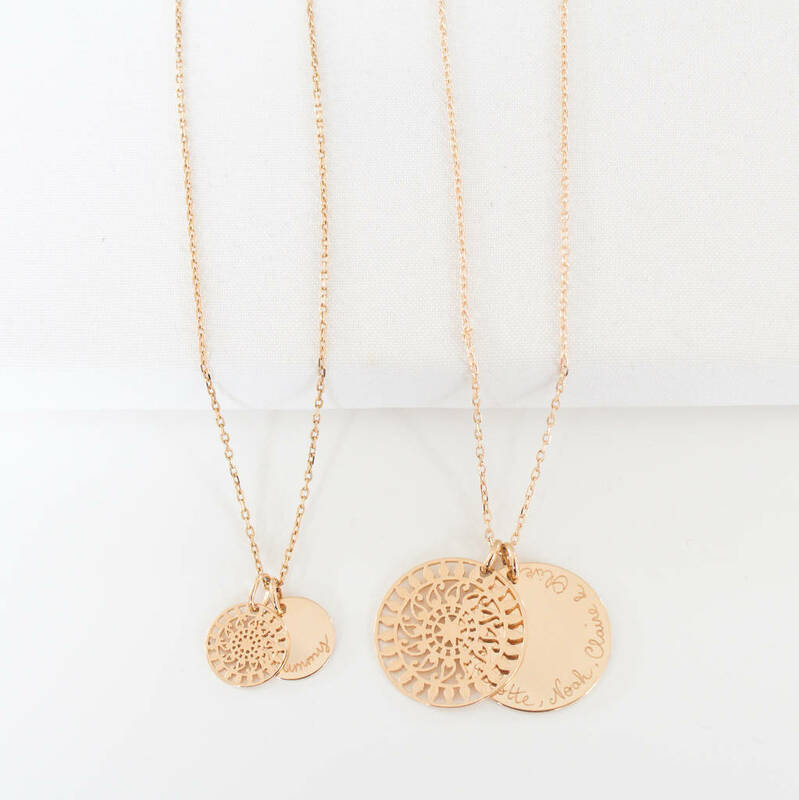 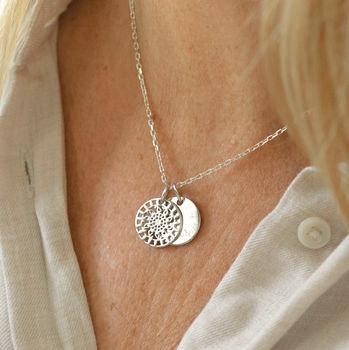 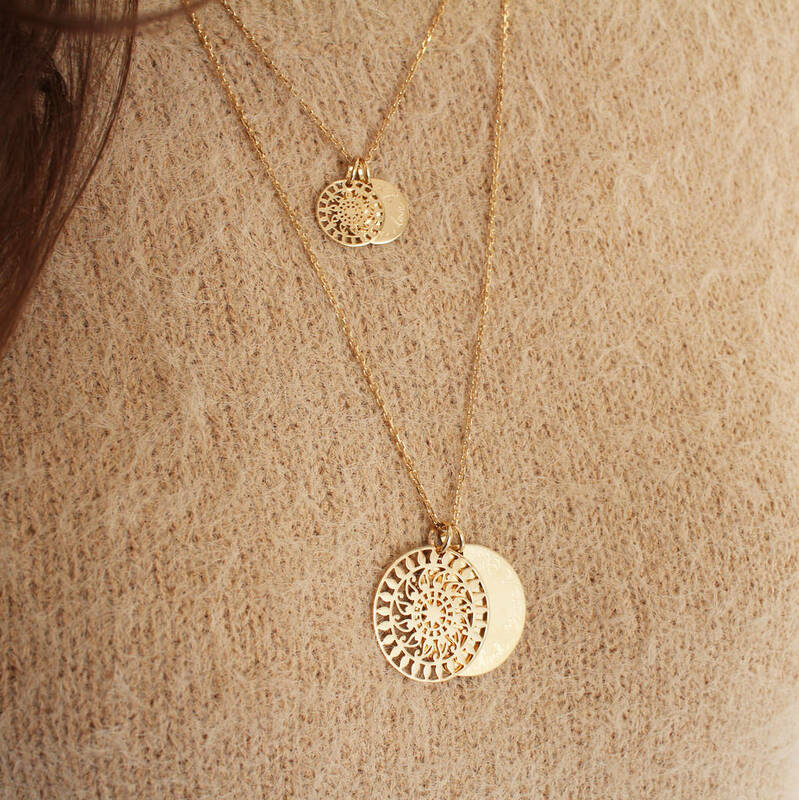 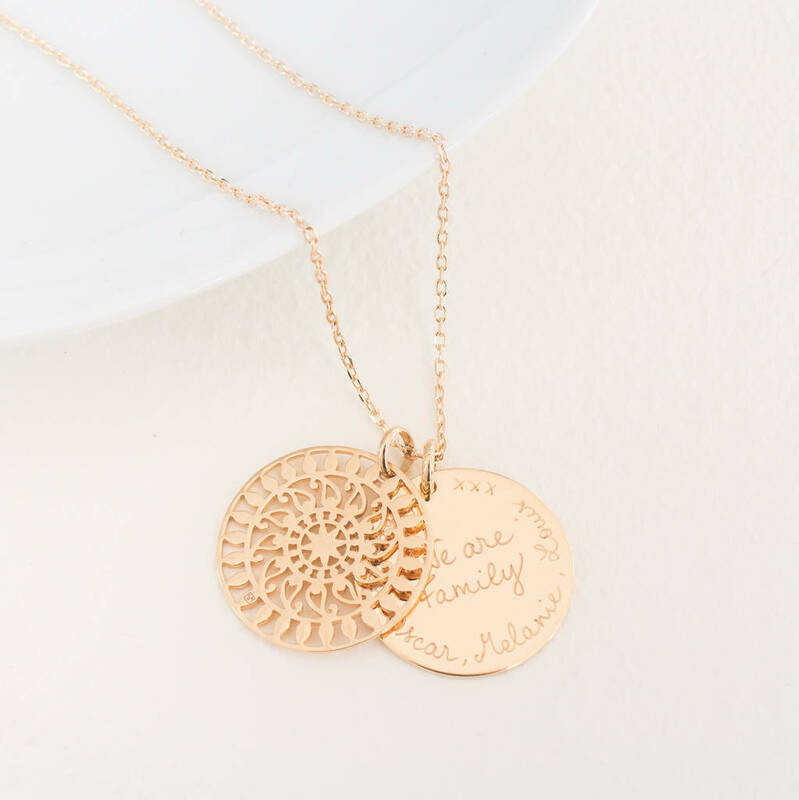 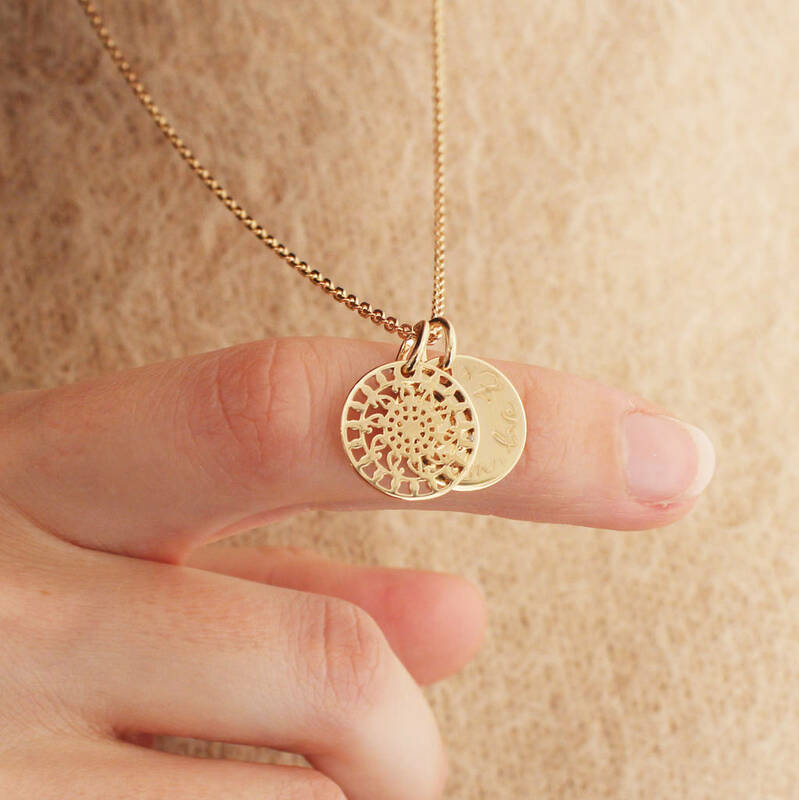 Get in touch with your spiritual side with our Personalised Mandala Disc Necklace, featuring a hand-engraved disc hanging alongside a decorative overlaying pendant. 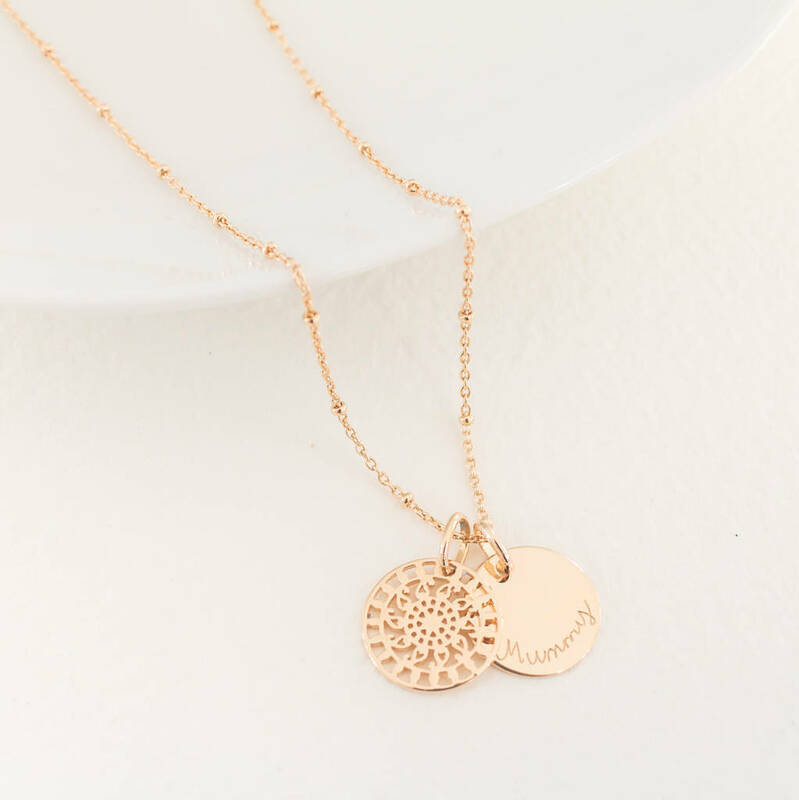 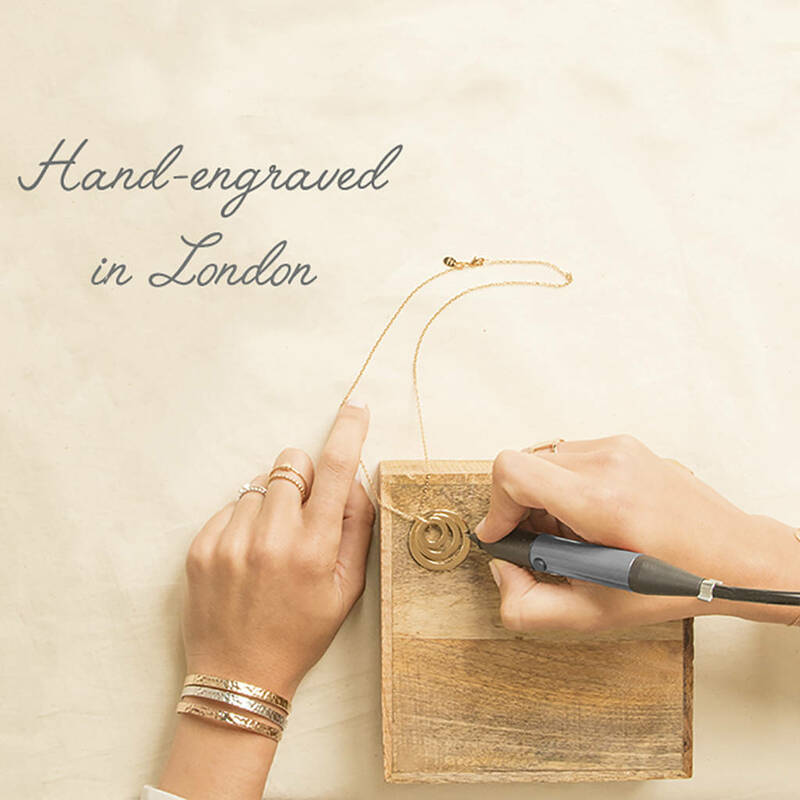 Choose your small or large pendant, crafted in either 925 Sterling Silver or 18K Gold Plate, and we will hand engrave the edge of the charm with the personalisation of your choice. 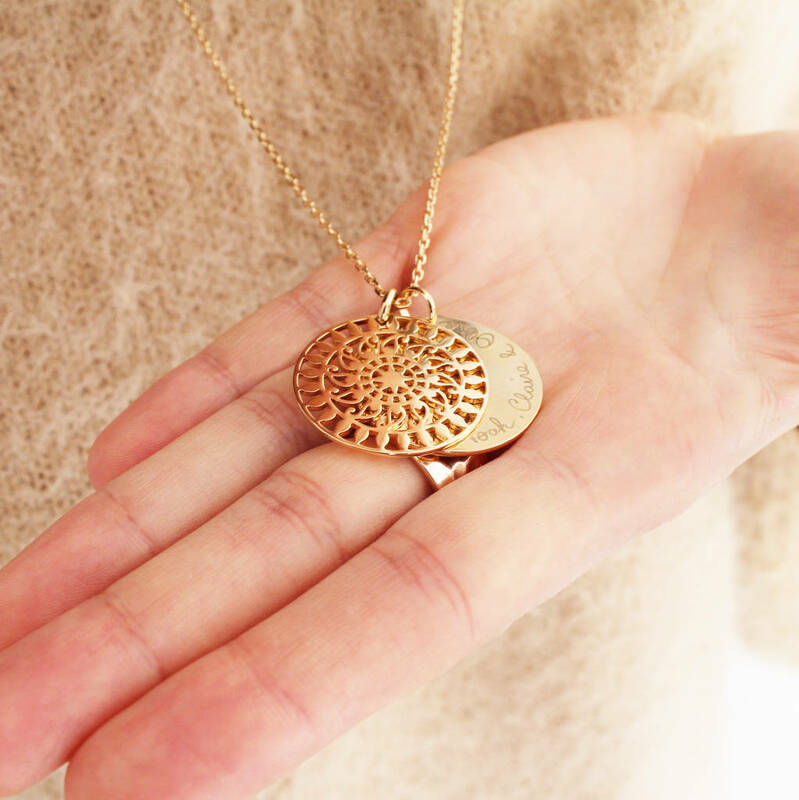 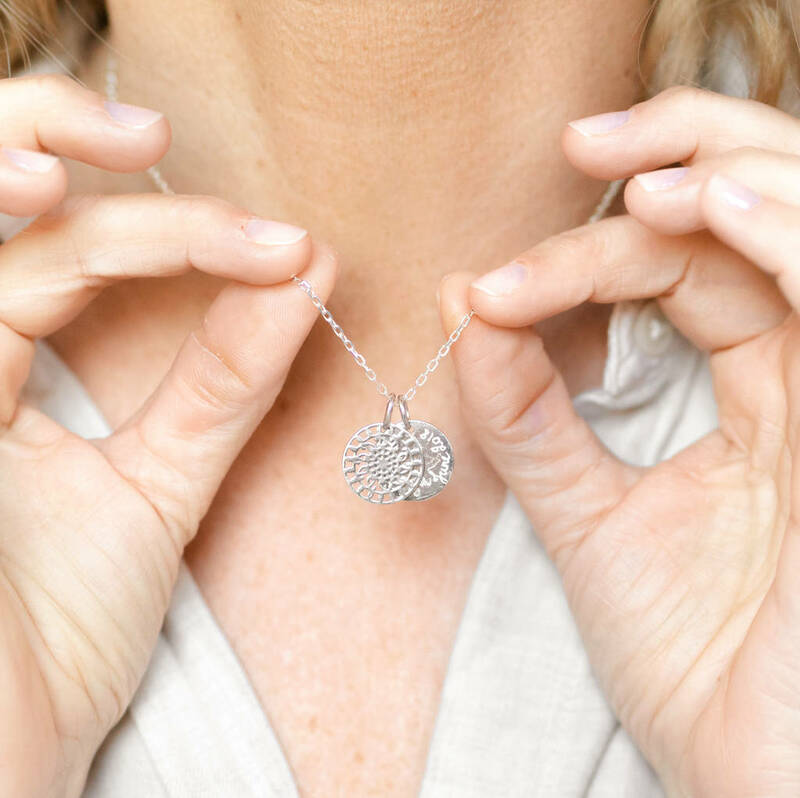 This then sits behind the intricately detailed mandala pendant, allowing you to keep the details of your personalisation to yourself!